The state’s child welfare agency faces a $40 million budget shortfall, a critical shortage of good homes for foster children and overwhelming caseloads for staff, agency leaders told state lawmakers at a hearing on Wednesday. 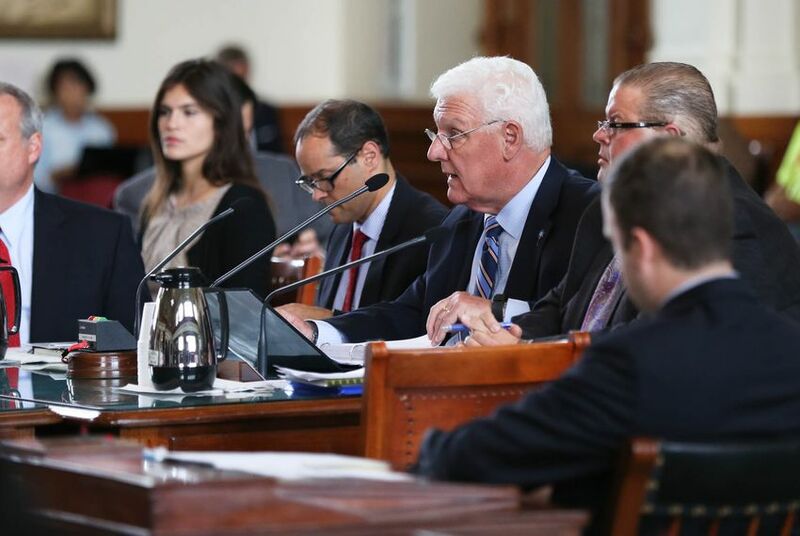 John Specia, the outgoing head of the Texas Department of Family and Protective Services, told the Senate Health and Human Services Committee that lawmakers will likely need to sign off on a supplemental budget to make up for the shortfall. The agency has had to spend more money than expected on expensive placements for children in settings such as psychiatric hospitals because there weren’t adequate homes available. Specia said the agency had encountered an increase in children with severe behavioral and mental health needs and is currently struggling to find appropriate homes to keep up with demand. “We may have enough beds for every child in care, but once you overlay specific needs, include location, gender, age and behavior, our capacity does not align,” he said. Making matters worse, caseloads for the agency’s Child Protective Services social workers are “too high,” Specia said. The number of children assigned to a caseworker at any given time varies widely around the state, he said, but remains well above the “best practice” figures recommended by child advocates. The department struggles to retain most caseworkers for more than just a few years. State Sen. Carlos Uresti, D-San Antonio, said the Legislature should study if paying caseworkers higher salaries would help reduce turnover. First-year caseworker pay is between $32,000 and $36,000 per year, Specia said. The agency estimates it costs about $54,000 to train each caseworker. State Sen. Charles Schwertner, a Republican of Georgetown and the committee's chairman, said pay was not the top reason caseworkers list when they explain why they leave their jobs. He said job stress and workplace culture are considered more pressing concerns. Lawmakers also heard testimony about how the foster care and Child Protective Services systems serve children with trauma histories and mental health needs. Anu Partap, director of the Rees-Jones Center for Foster Care Excellence in North Texas, said Child Protective Services should work more closely with health care providers to prevent expensive and traumatic hospitalizations. Texas has seen significant growth in the number of kids who’ve had prolonged stays in psychiatric facilities because the agency has struggled to find homes for them when they leave. Between June 2009 and August 2015, the number of days foster care children together spent in psychiatric facilities past their initial 8 to 10 days of treatment rose from a total of 10 extra days in the facilities to 768. “When we have children who are patients admitted for non-medical, prolonged hospitalizations, in every situation, the caregivers were begging for help before that child went to the hospital,” Partap said. Specia also said the agency would benefit from greater coordination between Child Protective Services and health care providers. Specia also offered up some good news from the agency. Adoptions of foster children are on the rise over the long term, and early results from a reform pilot in North Texas known as foster care redesign look promising, he said. Still, the lawmakers appeared troubled by the problems faced by the agency, which some said were recurring.